and seek adventure on a fast express cruiser. To navigate this site just click on the pages at right. Our 2013 cruise season is starting. We are still based in Ft. Pierce, FL our new home port for at least a year. Around the end of February we are planning to cruise up to Vero Beach to hang out on a mooring for a few days. We think that we may be able to get the grandkids together again to meet us over in the Bahamas. You can see our last year’s cruise to the Bahamas on the Bahamas 2012 page. The last time the kids were with us there was our Bahamas 2010 cruise. To keep up with our cruises without having to check into the site, you can subscribe to automatic e-mails by registering your e-mail address in the box at bottom right. allows all the comforts of home while aboard. Chesapeake in summer and fall. communications we can work where we are. the coast. It is the best of both worlds. I like what you have done with your site. When I get time I will try to dress my own up a bit. I hit the ground running on the blog. I am doing a piece for PM about cruising blogs and figured it was time to try it out myself. Keep me posted as to your exact date of visit and itinerary. It would be great fun to hook up. Looks great:-Look foward to seeing you on the East Coast one of these days. I like the visual impact of your new Log and Journal. I will enjoy following what you are up to boat wise. New website looks great. Godspeed you and Lou Lou on your continuing adventure. See you soon. I enjoyed catching up on your cruising. Look forward to hooking up for dinner in Chattanooga sometime or Knoxville/Oak Ridge if you are over this way. I came across your blog via the trawler forum website – your site looks great! It looks as though you have a beautiful boat. We have a 47′ Sabreline which has made its way all the way out to the west coast of Canada. Happy boating! Don, my name is Sam. My wife and I live in East Tn and spend our summers at our cabin on Lake Ocoee just down the river from Blue Ridge. 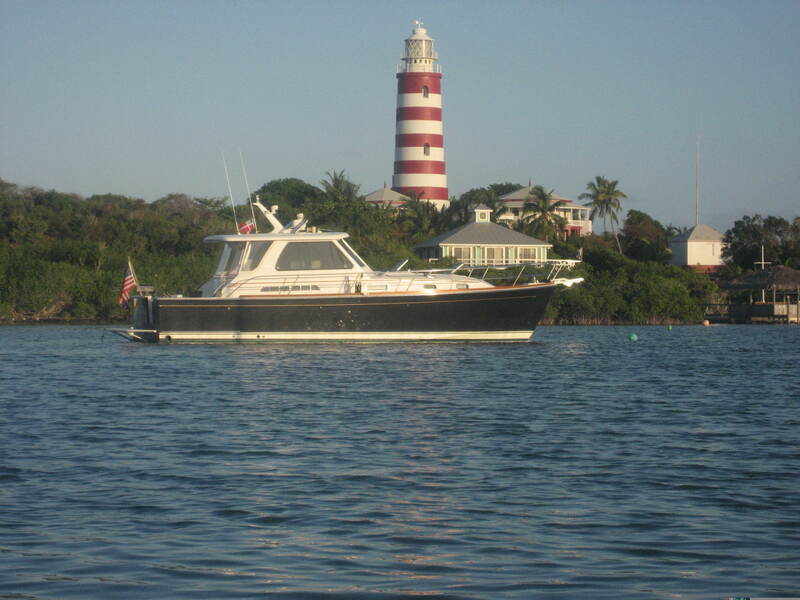 We’ve spent a fair amount of time chartering both sailboats and power yachts in SW Florida as well as the Abacos. I’m also a builder/developer in TN. My wife and I are almost to the point of purchasing our first yacht. I couldn’t believe it when I came across your blog. There are to many similarities! We have been looking at the 42 Sabre for quite sometime and just returned from the Newport RI Boat show where we found one that really caught our eye. I’m very familiar with lake boats growing up with them all my life. This yacht business is all new to me. I would love to chat with you sometime about the Sabre. I’m going to enclose my email address in the field below. Lou and Don… please let us know the next time you pass through or overnight in New Smyrna… We have a 34′ Mainship, and we live on the ICW in front of Red 18. We’d be pleased to show you around our little town and hear about your travels. Hi Earl and Vicky, Thanks for the invitation. We would love to do that. It will probably be spring 2014 before heading back North. I have always liked New Smyrna. We will try to let you know when coming through. If you are heading South give us a shout. Spectacular blog pictures. Loved the Canadian ones. Recognized many. Don: You are my hero…I love your wit, boat choice & lifestyle in general. 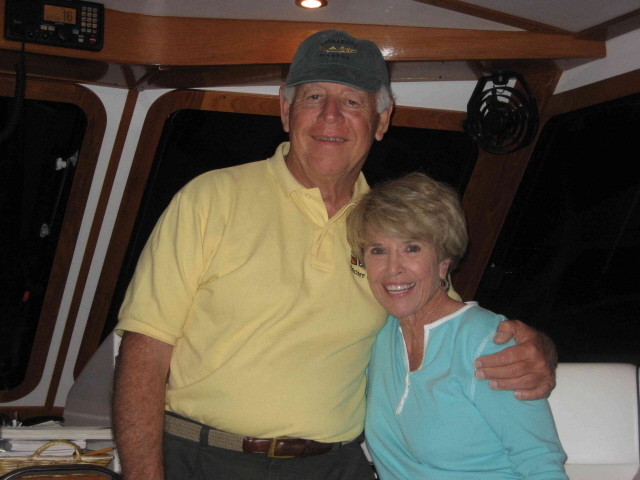 Hi Don: We have enjoyed reading your blog when we were researching the purchase of a Sabre 42. We sold our Beneteau 381 sailboat in Sept 2013 after several years of cruising the ICW and were ready to cross over to the “dark side”. The Sabre has all caught our eye with her beautiful lines and layout. In fact we “almost” purchased a 2006 several weeks ago, but sadly the deal had some problems and we passed. Maybe we will find the right boat and join you and other Sabre owners in enjoying these beautiful boats. Keep up the good work on your blog and may you have fair winds and calm seas. Glad you found us. 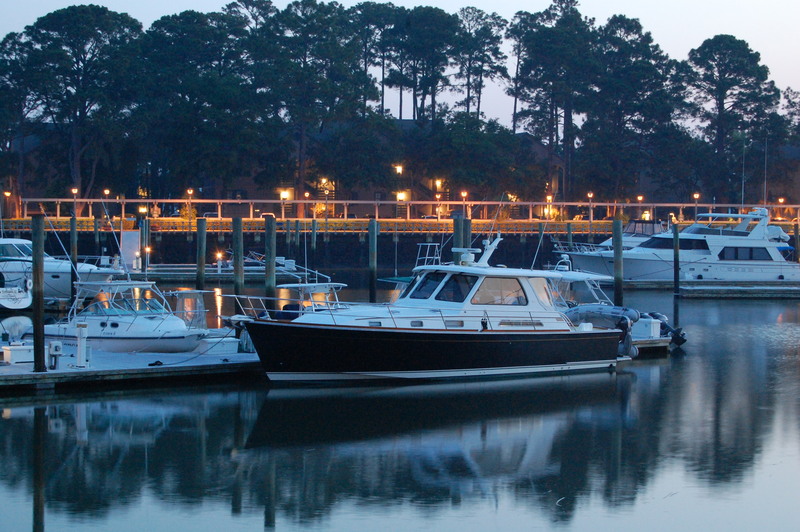 If you have a Yahoo membership go to this link for the Sabre Motor Yachts Owners Group. Join up, and maybe someone will assist you in finding your Sabre, We will be looking for you there. Don, I am contemplating purchasing a 2002 Sabre 42 identical to yours or similar but for twin Caterpiller 420 hp engines. We get some big seas out here in the Pacific and I would like to know your experience in riding 12 foot or bigger swells in the big ocean..
also if there are any known vulnerabilities that i should be looking for when i survey the boat..
Hi Bruce. Glad you found us. The seas off the Florida East Coast are very different from the Pacific. With about a 2 knot current in the Gulf Stream flowing North seas can get very interesting. Much shorter and steeper that the long Pacific Swell. 7-8 footers are about the biggest seas the boat has been subjected to. Those were with occasional breakers. I would not think that you would any problem with a 12′ swell. Plenty of power to get up and over. I love fishing in long ocean swells. Curious if you would consider letting the Blackfin go? if so PLEASE contact me, I am a U.S. Navy Sailor and if the pic I saw of Little Moonstruck is still in your marina, I would LOVE to talk to you about her. Stunning pictures, very interesting blog. Many thanks. We just bought a 42 SE and looking for dinghy, rigid hull w/ access to transom as you have yours. We also need an easy dinghy davit system. What type is yours and how easy is it ? Everyone is telling us to go with a Freedom lift, but very expensive and want to see other options out there. Hi Cynthia, We have the Weaver Davit Syustem with arcs attached to hard points on the fiberglass part of the dinghy. It is a custom installation. The lift is the Weaver Hoist that operates by hydraulics operated by a foot pump. Very easy to do. It took me a long time to figure it out, but works great. The Weaver folks will work with you on a custom installation. Good luck with your Sabre.